What Happens if You Bought Toronto Real Estate at its peak? So you’ve just realized the mistake you made purchasing your Toronto property in 2017 during the market’s peak (which appears to have been in the Fall of 2017 according to this chart at www.toronto.listing.ca). In reference to that chart, the average price for a detached home on October 14, 2017 was $1,114,203 . As of March 2, 2018, the average price was $1,065,361 — a decline of $48,842 in just over 4 months and 2 weeks. I’m not going to indulge in the schadenfreude I’ve been reading in newspaper editorials and internet discussion forums about families facing financial ruin for buying at the wrong time. I don’t believe in kicking people when they’re down. Rather, I’m going to put on my financial professional thinking cap so I can provide you with an analysis of the situation you may find yourself in. I’ll also review the attendant consequences so you can better prepare yourself if property values keep keep going south. You purchased a property with the minimum down payment needed to qualify for a CMHC mortgage. This is an overview rather than a complete analysis. 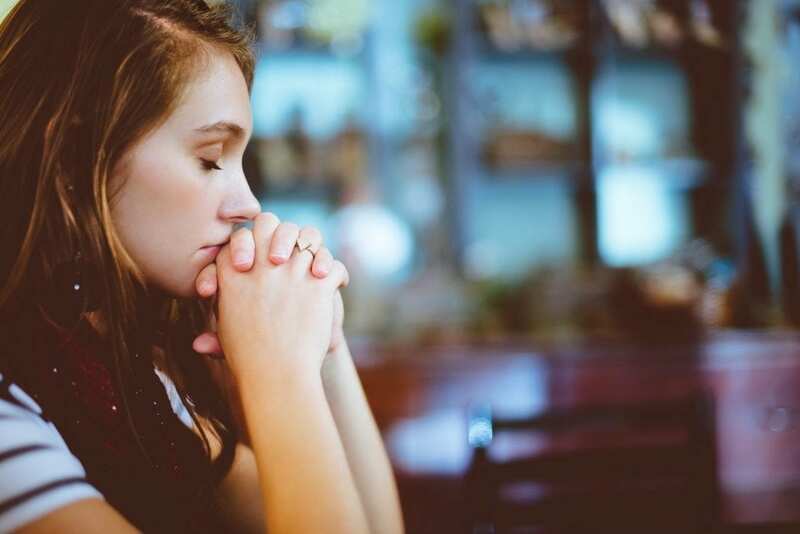 Every individual’s situation is unique, so before applying any information from this article, consult with your real estate and mortgage professional as well as your legal adviser. First, a background on what CMHC is and why it exists. This is important because as of 2017, CMHC backed Canadian mortgages were valued at $502 billion, out of total Canadian mortgages outstanding of approximately $1 trillion. Therefore, there a 50% chance you have a CMHC insured mortgage. Mortgage rules require that you provide a 20% down payment on the purchase of your property. If you cannot provide 20% but are able to provide at least 5%, then you can purchase mortgage insurance with the Canadian Mortgage and Housing Corporation (“CMHC”). The insurance premium would be paid by you with the bank as the beneficiary. Why are you required to purchase this insurance? First, imagine a world where CMHC and minimum down payment rules didn’t exist. Secondly, suppose that you were able to purchase a $900,000 town home with only 5% down (i.e., $45,000). Six months later, the value of your property goes down to $800,000 (an 11.11% decline in value). So you decide to walk away from the home and surrender it to your bank. See Table 1 below to see what happens. In the left column of Table 1, the bank lost $112,112 of its capital because it lent based on a 5% down payment. It would be unlikely to recover this amount from the borrower since most people who’ve lost their homes just don’t have $100k lying around. They usually end up filing for bankruptcy. As you can see, any bank foolish enough to lend with less than a 20% down payment takes on a significant capital risk if there’s a decline in the market price of its security (i.e., the home). If every bank was allowed to lend with only 5% down (or 0% down, like the U.S. banks did in the lead up to the 2008 Financial Crisis), it would create a systematic risk in Canada’s banking sector if real estate prices declined significantly. It’s lending practices like this that triggered the U.S. real estate meltdown that started in 2006 leading up to the last (but certainly not least) Financial Crisis. However, not every prospective home owner has the required 20% down payment to prevent the above scenario from happening. So this is where the Government of Canada steps in via the CMHC. If you have less than 20% down, you’ll still be able to obtain a mortgage, but you will be required to purchase home insurance from CMHC. The premium that you pay to CMHC is usually financed by adding the premium amount onto the mortgage you obtain. However, you can only obtain CMHC insurance if the purchase price of your home is less than $1 million. 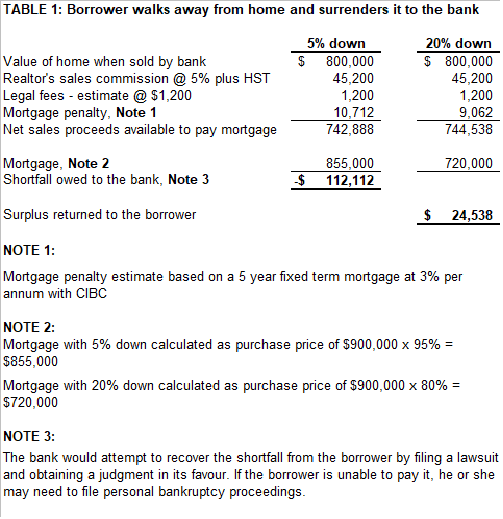 In this scenario, CMHC pays out $125,112 to the bank to cover its loss on its mortgage. 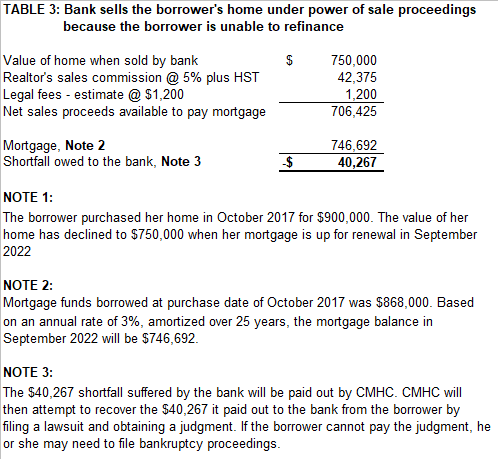 CMHC then attempts to recover the $125,112 from the borrower. In many cases, the borrower will be unable to pay this and may be forced to file for bankruptcy. 1. As you can see, the purpose of CMHC insurance is to transfer the risk of lending from the bank to the Government of Canada. Although CMHC gives more people an opportunity to purchase a home, it’s primary purpose is to protect the Canadian banking system. 2. Because of the additional premium you need to pay to CMHC (which can be a significant amount that’s added onto your mortgage), the total mortgage obligation you take on can be very high if you don’t have a 20% down payment. Consequently, the more mortgage debt you need to incur under the CMHC program, the more money you can potentially owe the Government of Canada if things go south and your home is sold by your bank. The most common scenario a borrower faces in a declining housing market is the inability to refinance when his or her mortgage comes up for renewal because there is insufficient equity in the property. Suppose you purchased a town home for $900,000 in October 2017 using a CMHC insured mortgage. As in Table 2, you borrowed $868,000 and the mortgage terms are a fixed rate at 3% per annum for a 5 year term with a 25-year amortization. Your mortgage is up for renewal at the end of September 2022 but by that time, the value of your home has declined to $750,000. Assuming you haven’t missed any monthly mortgage payments, your balance will be $746,692 in September 2022. Therefore, by the time your mortgage comes up for renewal in that month, you’ll only have $3,308 of equity in your home (i.e., $750,000 — $746,692). If you’ve paid your mortgage payments religiously, you shouldn’t have a problem at renewal time, but this isn’t guaranteed. 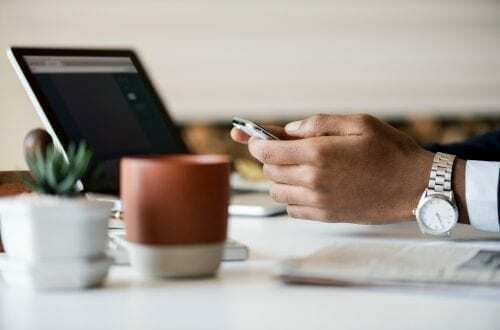 For example, if your credit rating has dropped significantly during your mortgage term, you could find yourself scrambling to find a new lender if your current bank no longer finds you to be a worthy borrower. And this means that you’d have to get your home reappraised at the market value during renewal time. New prospective lenders will see that you only have $3,308 of equity in your home and if you are unable to find anyone to refinance your current mortgage, then the bank will demand its loan. In that event, the bank will issue you a demand that you pay the entire mortgage balance outstanding within 37 days. In the situation where you’re unable to do this, then after 37 days, the bank will likely next serve you with a Statement of Claim for the outstanding debt, as well as possession of the property. Once you receive this, you have 20 days to file a Statement of Defence response in court. Not filing a response in court will lead to a default judgement and the court will award a writ of possession to the bank. 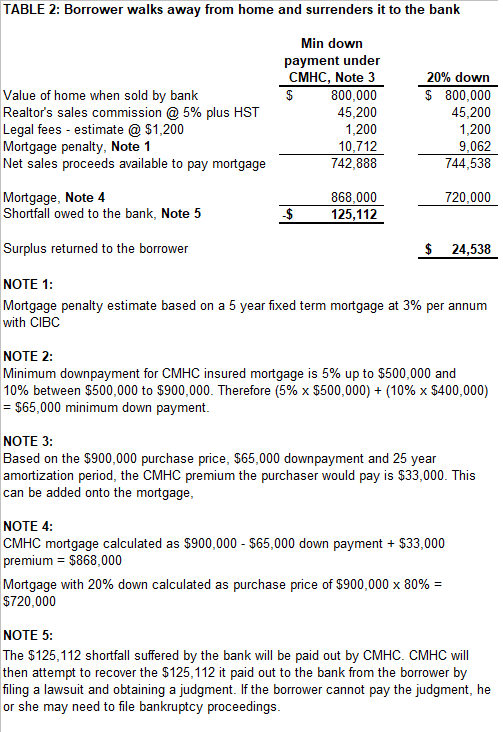 As you can see in Table 3, you will be indebted to the Government of Canada (via CMHC) for $40,267 after the bank repossesses and sells your home under power of sale proceedings. 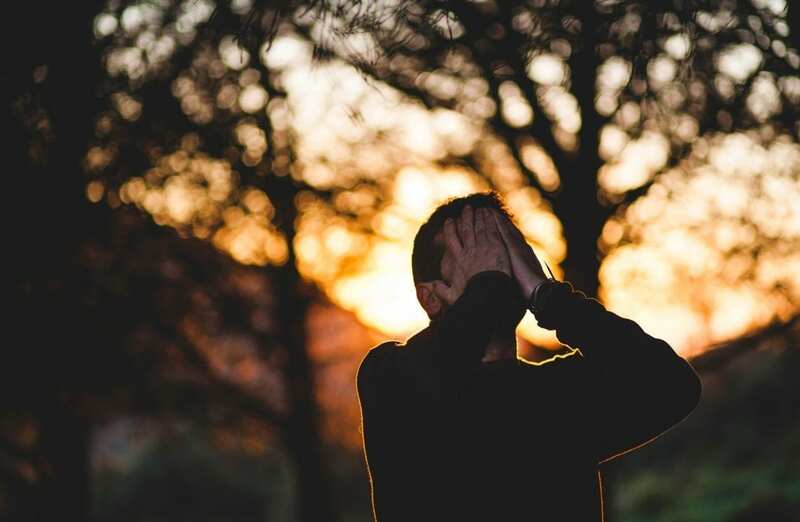 If you’re unable to pay it, you may need to see a Licensed Insolvency Trustee and contemplate a bankruptcy proceeding. In the worst case scenario as illustrated in Table 3, rather than having the bank repossessing your home and selling it, you may want to approach your bank and offer to sell the property for them. You’d have to be able to convince your bank that you can sell your home at a higher price while incurring less selling costs (e.g., rather than hiring a real estate agent, you attempt to sell the house yourself). The bank might be in favour of this because it saves them money on real estate commission and legal fees. It also results in a more orderly liquidation of their security. A higher selling price and lower selling costs could mitigate the amount you ultimately end up owing to CMHC on any shortfall. 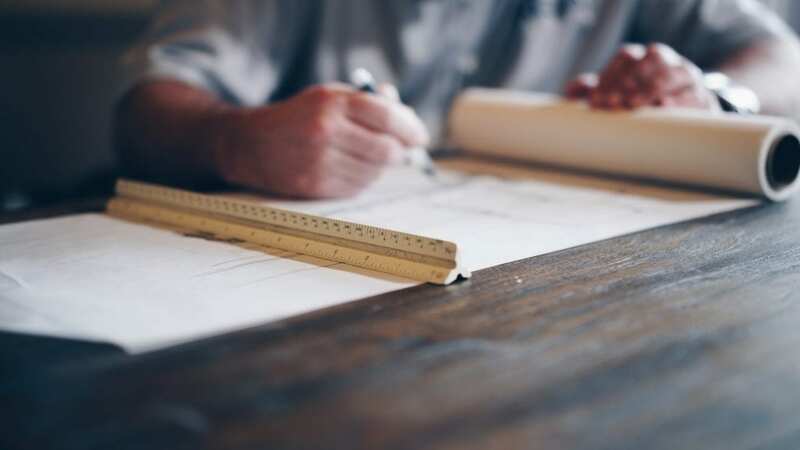 You signed an Agreement of Purchase and Sale (“APS”) with a builder to purchase a pre-construction property (freehold or condominium) at a certain price. Since then, you’ve made the all of the required deposit payments towards the final purchase price in accordance with the Agreement. However, since you signed the APS, values for similar properties have declined significantly. Also, the new mortgage stress test requiring you to qualify at a higher lending rate than had originally been approved last year, has significantly reduced your borrowing power. You now find yourself unable to borrow enough money to pay for the balance of the purchase price. Your closing date is approaching and you start to panic. Under an APS, you may have the right to sell your contract with the builder in a deal known as an assignment. Although some builders explicitly forbid assignments in the APS, you can usually make a deal, at some cost to you. This could be a percentage (1 per cent is typical) of the original cost you paid, plus certain legal fees and realty fees. 1. Inform your builder that you intend to exercise your right to assign the unit. 2. Obtain written confirmation from the builder that you are current on your deposits. Apply any deposits you’ve provided to them against the purchase price (you should review your APS with your lawyer to confirm this). Sell the property to another party but at a lower selling price. If the proceeds from from #1 and #2 are insufficient to cover the original selling price, the builder may sue you for the difference. 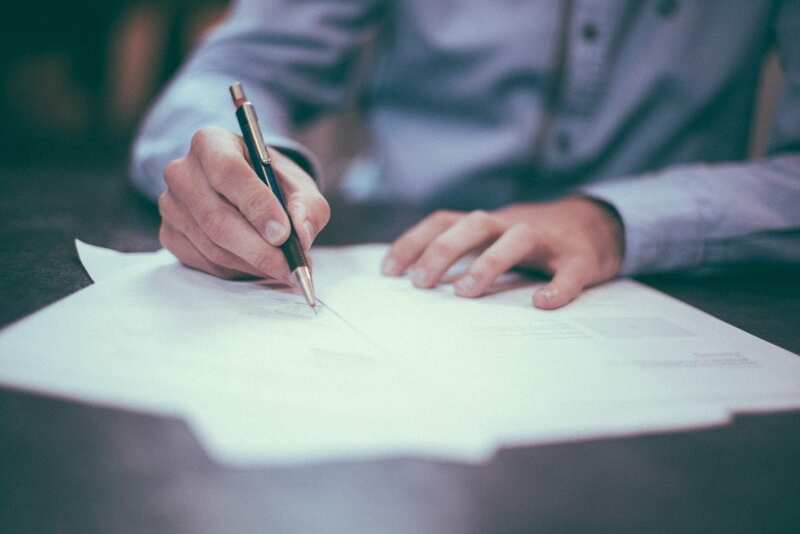 Upon application to court, obtain an Order to apply your deposits that are held in trust (which is usually with a lawyer chosen by the builder) against the purchase price. For example, if your APS specifies that you are purchasing a three-bedroom unit but the builder only constructed two-bedrooms into your unit (I have personally seen this happen), you may be able to argue that the APS isn’t enforceable because the builder didn’t honour the terms of the agreement. During the provincial election campaign, Doug Ford had considered repealing the 15% foreign buyer tax if he was elected Premier of Ontario. Since President Xi Jinping consolidated power in China, that country has loosened its capital controls that, in the past few years, had made it more difficult for its citizens to buy overseas real estate. Those controls were blamed in part for a slowdown in interest from Chinese buyers in Vancouver, Toronto, Australia and elsewhere. As part of this trend, Chinese real estate portal Juwai, which markets overseas properties to mainland Chinese buyers, has signed an agreement with online retail site JD.com that will see houses in Canada listed for sale “like milk, shoes and other household goods,” the company says. Therefore, a continuing decline in the Toronto real estate market is not a foregone conclusion. However, if current market trends do continue, you at least have some tools at your disposal.